Using the right plants and techniques will help maximise the success of riparian planting and ensure you are getting value for money by getting it right first time. Planting fenced riparian areas adds further benefit to the environment as plants function like a sieve, helping to filter out sediment and nutrients before they enter waterways. Stabilising riparian plants help prevent land erosion and increase the habitat for native wildlife. Once you have decided on a fence setback, the next step is deciding what to plant, where and at what spacing. In the riparian margin between the waterway and fence, there can be up to three zones of plant types. Planting the upper and lower banks will improve water quality more than using a grass strip alone. Download your region's riparian guide to view the table of riparian plants best suited to your region. A grass strip at least one metre wide should be left between all fences and waterways to help filter sediment, phosphorus and faecal bacteria from runoff before it reaches the water. The grass strip will also prevent plants from tripping electric wires or being grazed if the lower banks will be planted. The upper bank zone is on higher ground but may still be partially flooded every couple of years. Use flaxes, grasses, shrubs or trees which provide shade and shelter. The lower bank zone is prone to flooding so plants need to be tolerant of waterlogging. Use plants such as sedges and rushes, which are well rooted and can survive many days under water. 1. Remove grass and weeds. 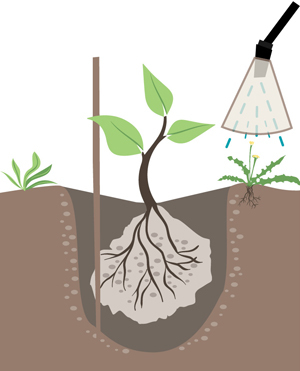 Four to six weeks before planting, spray 1m diameter circles with a glyphosate-based herbicide at the location each plant will be planted. 2. 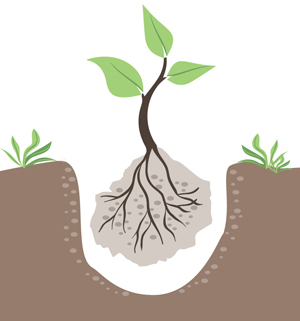 Dig a hole that is big enough to accommodate plant roots without them being curled up or bent in the hole. 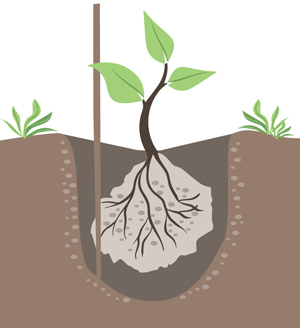 On drier soils, ensure the base of the stem is 1-2cm below the soil surface. Mulch around plants will help keep soils damp, reduce weeds and provide nutrients. Good mulches include straw, staked down cardboard or wool. 3. Put a stake beside plants (unattached) so they can be easily seen when weeding and identified if they have died and need replacing. Keeping on top of weeds and pests is crucial in the first five years for a healthy riparian area to become established. The most effective maintenance option is to combine the protective and active maintenance methods below. Surround each plant with at least a 30-40cm diameter of biodegradable weed mat, mulch or old woollen carpet to suppress weed growth. Avoid using plain wood chip around the plant as it will strip all the nitrogen out of the soil causing the plant to yellow off and die. Stake each plant for easy location and brush cut, hand weed or carefully spray with a glyphosate-based herbicide twice a year. 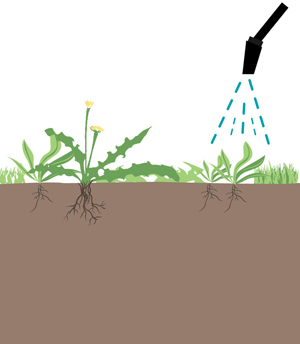 If spraying, follow product guidelines - desired plants are usually sensitive to herbicides so caution must be taken to protect against spray drift. For common weeds in your region, see your regional DairyNZ riparian guide or visit agpest.co.nz. 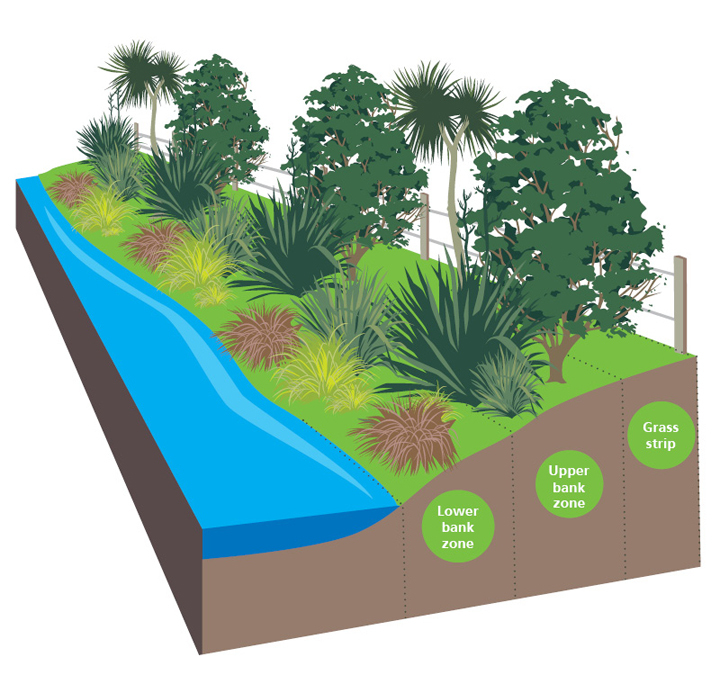 Getting Riparian Planting Right guides were developed in consultation with farmers, dairy companies and regional councils, to support farmers with meeting their riparian planting requirements in The Sustainable Dairying: Water Accord. 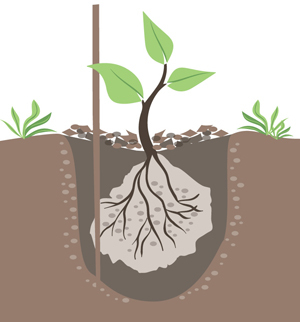 Planting advice specific to your region to help you get the best value for every dollar spent. Creating a riparian management plan to fence, plant and protect waterways is now easy with our new online tool.